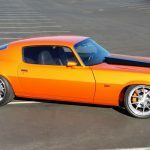 This orange Pro Touring 1971 Chevrolet Camaro RS Super Restomod is the best example of how should look one restored classic American muscle car. 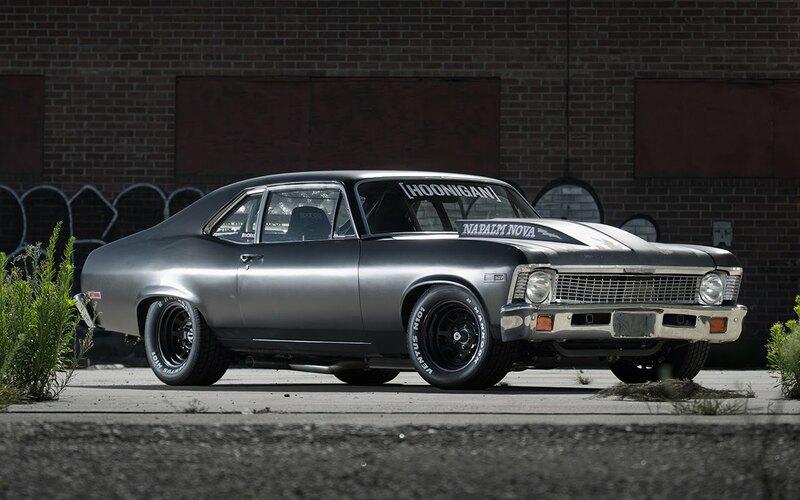 Pure, simple, with incredible stance, nothing less, nothing more. 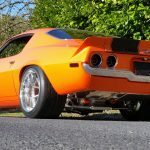 This Super Camaro was built by the F-body specialist Jeff Richards, and we must say that he has done an amazing job and we are sure you don’t need more than this. 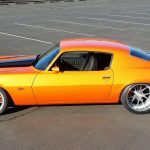 This Pro Touring 1971 Chevrolet Camaro RS Super Restomod under the hood is equipped with a modern naturally-aspirated all-aluminum General Motors 376 cubic-inch, 6.2 liter small-block LS3 Crate V8 engine. 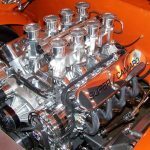 With custom Billet 8 Stack EFI and other modification the engine generates 575 horsepower and is controlled with a Holley engine management system. 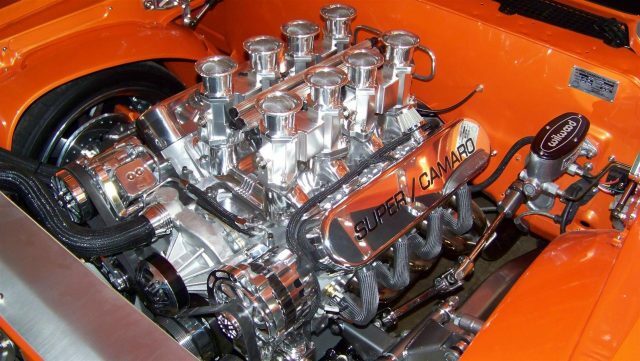 The engine is attached by a Tremec Magnum 6-speed manual transmission. 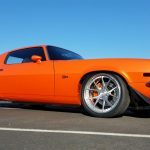 The 19-inch RSV Forged wheels are equipped with Nitto tires, while the Wilwood braking system includes master cylinder and 13-inch slotted rotors with six-piston calipers on all four wheels. 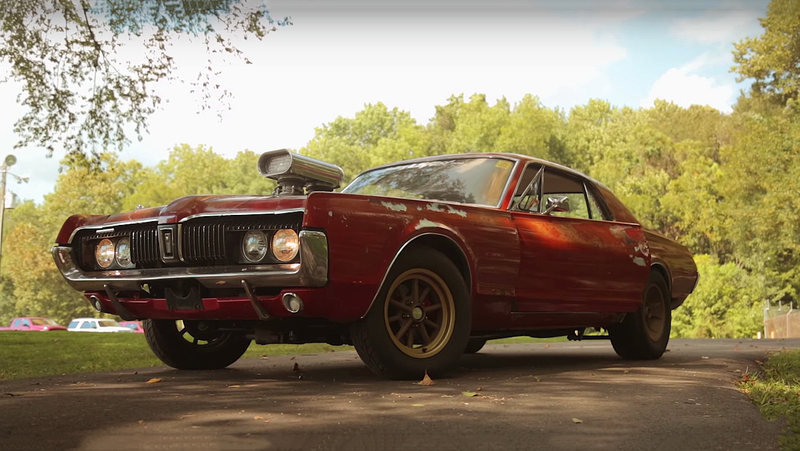 The whole car lies on a four wheel independent suspension, while the powerful exhaust sound is made by stainless Flowmaster mufflers and pipes.